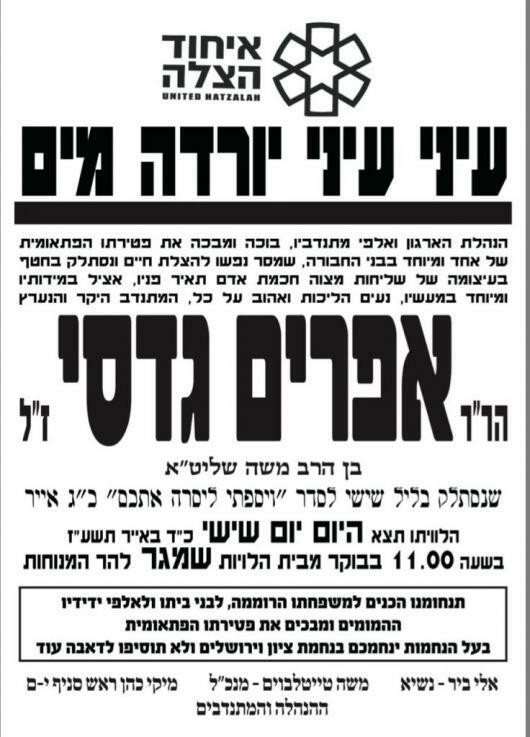 We are doing this In Memory Of Efi Gadassi Zâ€™L for . 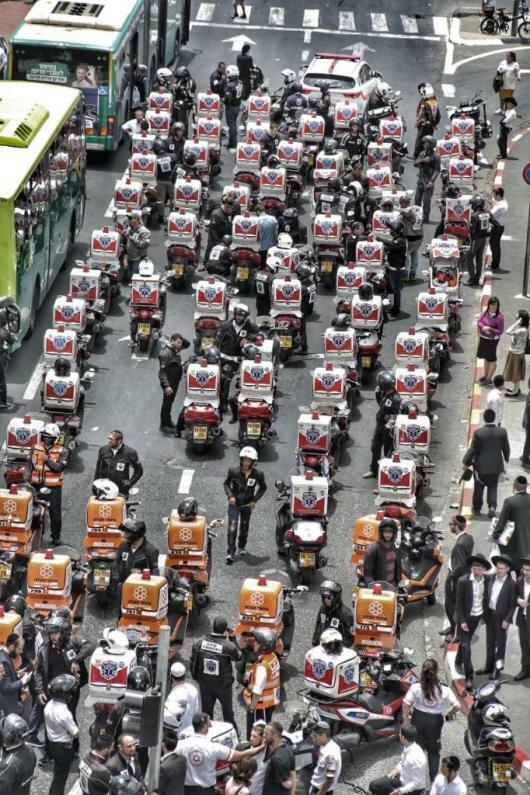 This campaign is very close to the heart for EMS volunteers all over the world. 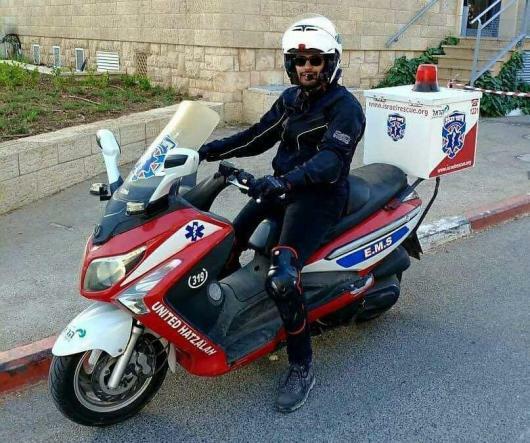 As a response to people asking how they can help, we are raising money for the children of Efi Gadasi Z"L, who was a volunteer medic for United Hatzalah. The children are very young and the family has no money whatsoever. 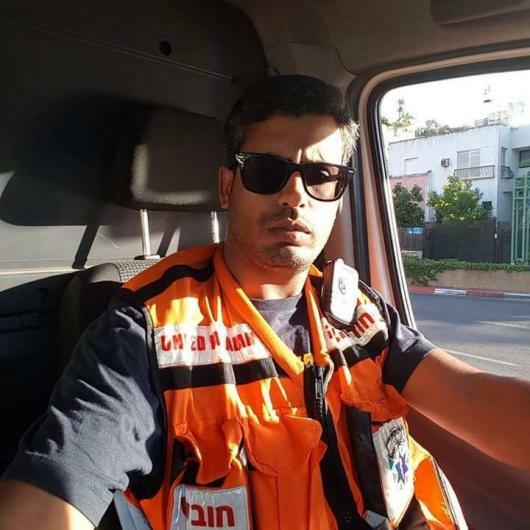 Efi had worked night shifts delivering bread just to support his children and devoted his life to them, all while volunteering for United Hatzalah. We must do as much as we can to help them. Please give however much you can and may we share no more sorrow. Two thumbs up ðŸ‘ðŸ¼ to Eli Beer for looking out and helping this family. Dear Eli, There are many talented people in the world, but there are no many leaders and you are definitely a leader. 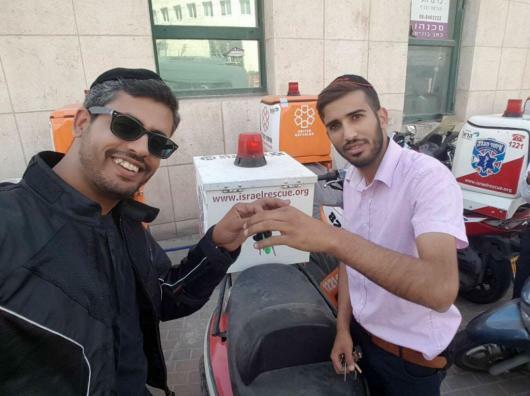 Thank you for creating this wonderful organization named United Hatzalah, which saves many lives. 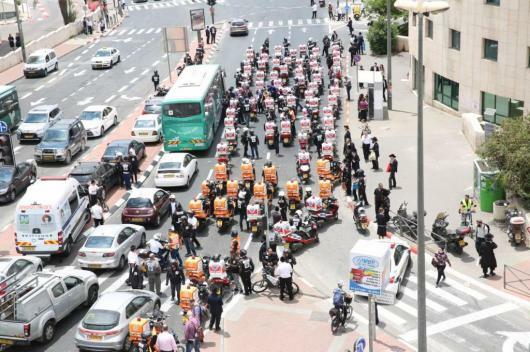 Irbu Kamocha B'Israel. I hope more people step in to help this family. 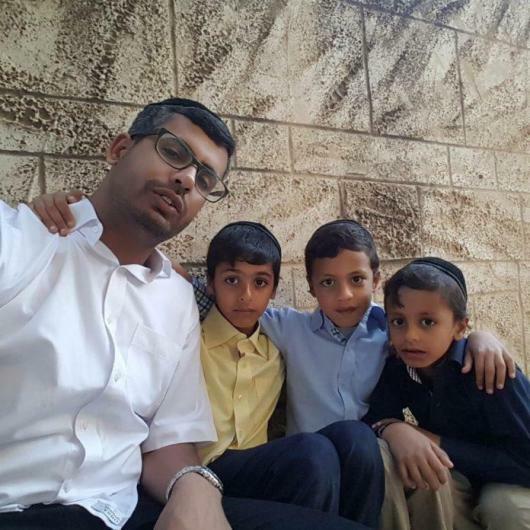 May the neshama of Efi Gadasi elevate to the highest of heights in the supernal world for the merit in servicing the Jewish people in complete mesirus nefesh. 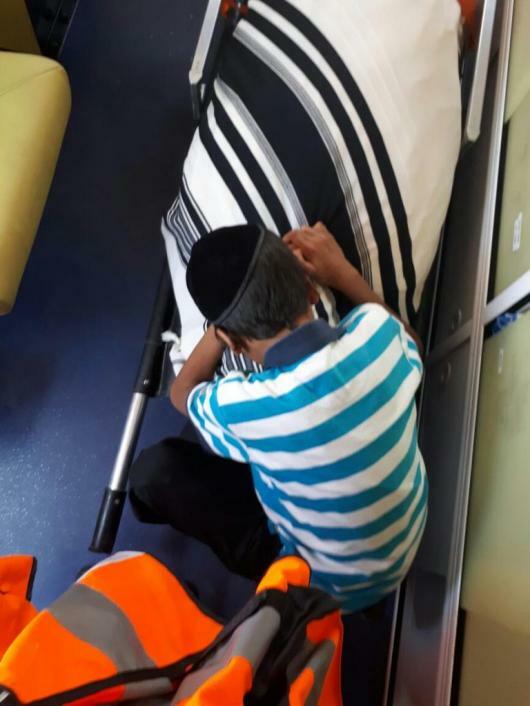 May the money help contribute in looking after his children, G-d willing. Thank you Efi. Blessings to his children. I am part of a CERT team in the US and understand how vital this service is. Saluting a wonderful hero who, day and night, gave up his time and ultimately his life in the service of others. 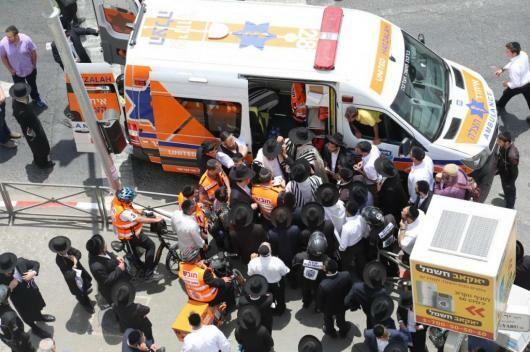 May hkb'h help his family and united hatzalah get through this difficult period. Efi's sacrifice is awe inspiring, z"l.
I join you in love and sorrow. 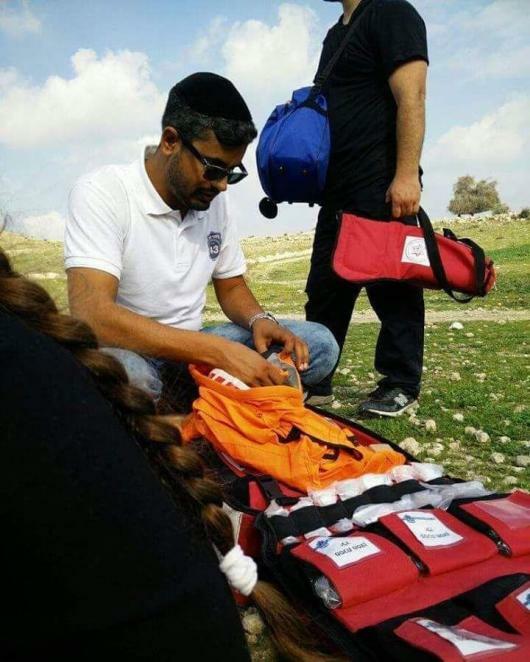 May our Lord God bless Efi's family and bless you for the life-saving work you do. This story is heartbreaking, and I mourn the loss of this hero. Thank you for setting up this fund. As you have helped many others whom you did not know, so your children are helped. 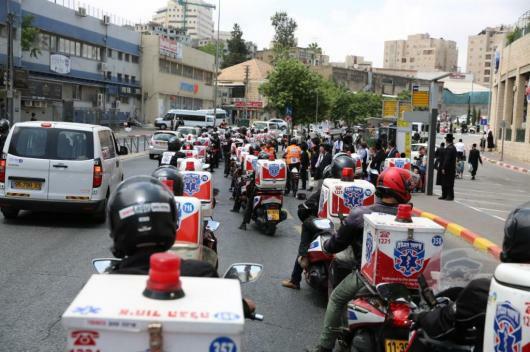 Such a tragedy and loss to klal yisrael and the EMS community around the world... we are so saddened and wish his family comfort and condolences.